During World War II, nightly raids by Luftwaffe bombers over Britain forced the United States to develop night-fighting abilities. The P-61 Black Widow was created as a new prototype with airborne intercept radar. It also featured four .50 caliber machine guns in a top-mounted turret and four 20mm cannons underneath to handle any threats in the darkness. The crew consisted of a pilot, a gunner and a radar observer. 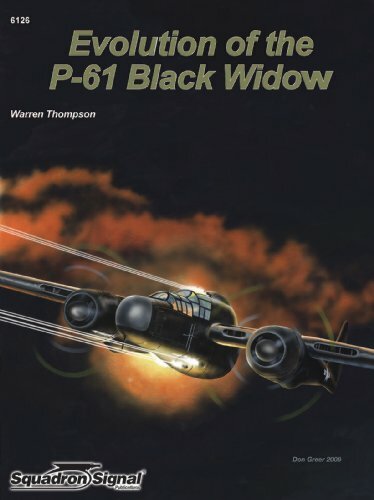 This book takes a detailed look at the development and implementation of the P-61 Black Widow night fighters with about 200 photographs and detailed line drawings. 64 pages.